Oregon slot machine casino gambling consists of 9 American Indian casinos. However, Oregon state law allows bars and taverns to have up to 6 video lottery terminal (VLT) style slot machines. Further, pari-mutuel wagering facilities are allowed to have up to 10 VLTs. The maximum bet is $2.50, with a maximum payout of $600. According to the Oregon Lottery, VLTs had an annual payout return percentage of 92.22% from mid-2016 to mid-2017. The Portland Meadows racetrack has instant racing betting machines but, while they appear to be traditional slot machines, are actually based on prior and anonymous racing results with spinning reels for entertainment purposes only. Off track betting, operated under the Portland Meadows state gaming license, is offered at 11 sites across the state. 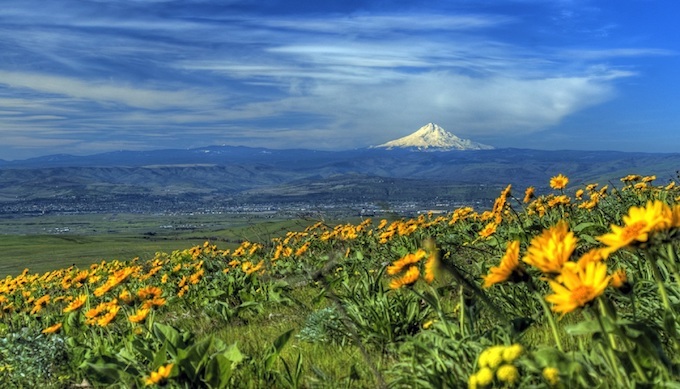 Oregon Slot Machine Casino Gambling 2018: Mount Hood, also called Wy’east by the Multnomah tribe of Oregon. The minimum legal age for casino gambling in Oregon is either 18 or 21, depending upon the specific gambling establishment. For pari-mutuel wagering and participation in lottery activities, the minimum legal age is 18. The video lottery terminal slot machines available in Oregon are like video slot machines except they are regulated by the Oregon lottery commission, which receives a portion of each machine’s revenue. 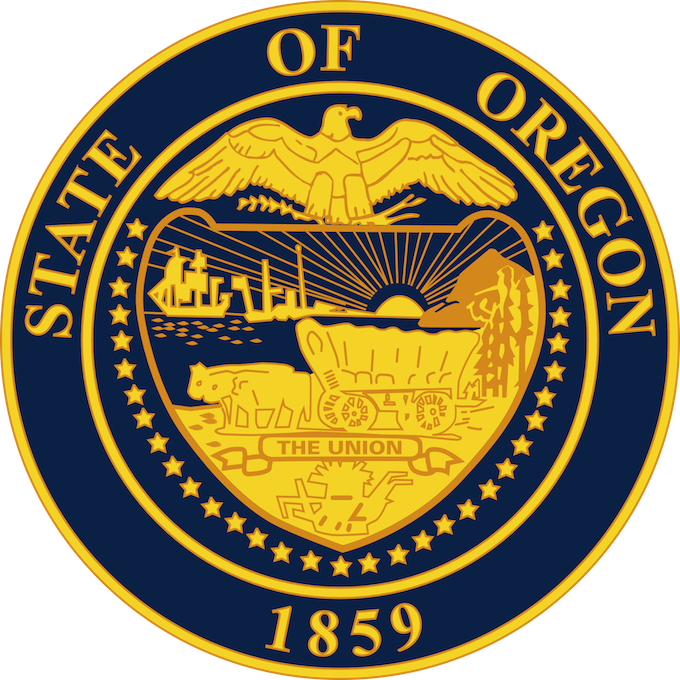 Oregon Slot Machine Casino Gambling 2018: The State Seal of Oregon. It is legal to privately own a slot machine in the state of Oregon if it is 25 years old or older. As video lottery terminals, the slot machines in U.S. state of Oregon are controlled by the Oregon Lottery in a manner not entirely dissimilar to lottery tickets. The governing board of the Oregon Lottery is a five-member Lottery Commission, each appointed by the governor for four-year terms. The State Senate must confirm all such appointments. At least one commissioner is required to have at least five years’ experience in law enforcement. Also, at least one other commissioner must be a certified public accountant. Finally, no more than three commissioners can be affiliated with the same political party. 1.5% of net proceeds deposited into a veterans’ services fund created by the State Legislature. 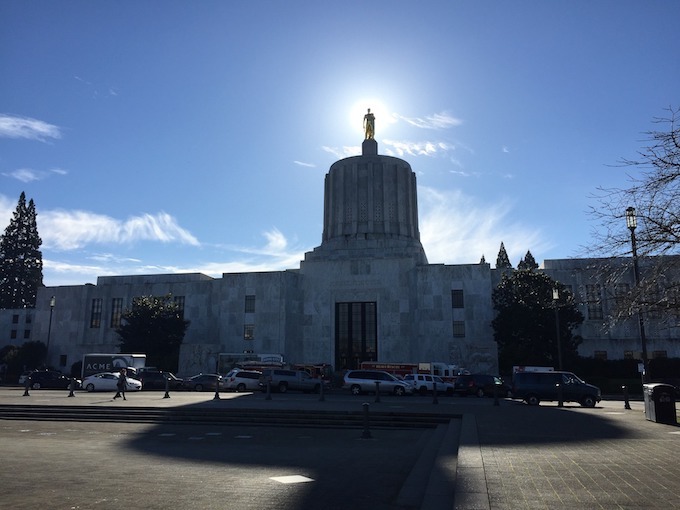 Oregon Slot Machine Casino Gambling 2018: Oregon State Capital Building in Salem. The largest casino in Oregon is the Spirit Mountain Casino. It has 2,000 gaming machines and 49 table games. The second largest is Wildhorse Resort & Casino, having 1,200 gaming machines and 17 table games. Neither of these casinos offer video poker gaming machines. According to the state-gaming compacts, the 9 Indian casinos in Oregon are not required to either report their payout returns nor is there a legally required minimum payout return. Wildhorse Resort & Casino in Pendleton. Oregon Slot Machine Casino Gambling 2018: Crater Lake at night under the Milky Way. Oregon slot machine casino gambling consists of 9 American Indian tribal casinos with video lottery terminal style slot machines run by the Oregon Lottery. Oregon state law also permits a half-dozen VLTs in bars, with racinos allowed to have up to ten VLTs. The maximum bet is $2.50, with a maximum payout of $600. The video lottery terminal slot machines available in Oregon are like traditional video slot machines except they are regulated by the Oregon lottery commission, which receives a portion of each machine’s revenue. According to the Oregon Lottery, from mid-2016 through mid-2017 VLTs had an annual payout return of 92.22%. Previous: Oklahoma Slot Machine Casino Gambling 2018 – Oklahoma slot machine casino gambling consists of 130 tribal casinos and two pari-mutual racinos. Most offer only Class II bingo machines, and accept debit cards rather than cash. No public information is available with regards to gaming machine payout returns percentages from tribal casinos in the state of Oklahoma. Next: Pennsylvania Slot Machine Casino Gambling 2018 – Until recently, Pennsylvania slot machine casino gambling consisted of 14 possible casinos: 7 racinos, 5 standalone casinos, and 2 casino resorts. One of them opens in South Philadelphia in late 2018. But, as of October 2017, casino gambling was legalized at truck stops, airports, 10 new satellite casinos, and online.